Glucosamine and chondroitin are popular supplements. 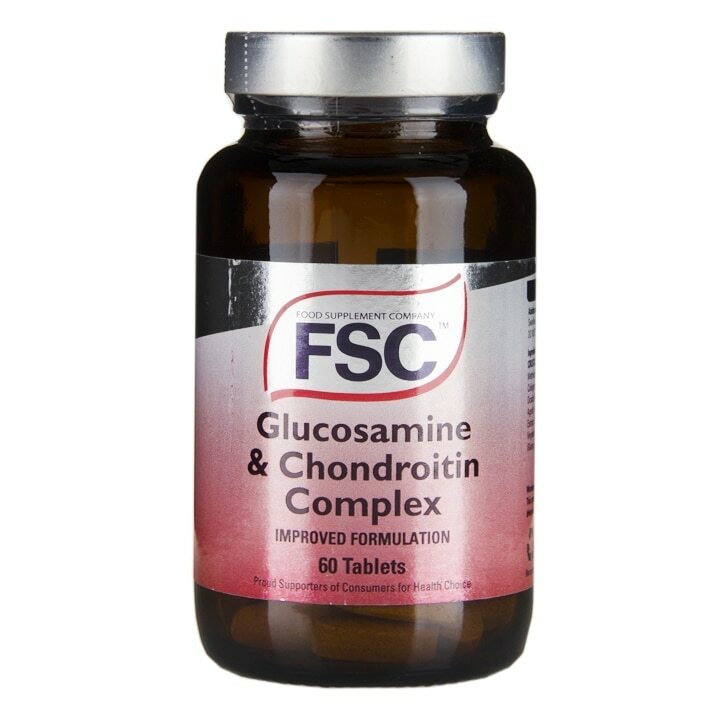 FSC Glucosamine Sulphate and Chondroitin Sulphate tablets contain extra supportive nutrients. FSC Glucosamine and Chondroitin uses naturally-sourced Glucosamine and Chondroitin derived from bovine. 1 or 2 tablets per day with food. Glucosamine Sulphate 2KCL, Chondroitin Sulphate, Bulking Agent: Calcium Carbonate; Anti-caking Agents: Stearic Acid*, Silicon Dioxide, Magnesium Stearate*; Vitamin C (Ascorbic Acid), Potato Starch, Acacia Powder, Manganese Gluconate, Glazing Agent: hydroxypropyl methyl cellulose; Selenomethionine.